Rahul is exulted with his efforts at work paying off and plans a holiday with his best friend Sanjay Srivastav who lives in Mumbai with his wife Reema, kids Sasha and Rehaan and most importantly, his sister, Meghna. Rahul recalls meeting Meghna just before they parted six years ago. Meghna works for a website and also teaches modern dance as she loves it. She’s thrown for a toss when Rahul comes visiting. She had thought he had forgotten them. But how could Rahul do that? Sanjay’s his best friend and Rahul had always treated their home as his own. Sanjay’s mother had been more of a mother to Rahul than his own. Rahul had stayed away after moving to England or so Meghna believes. A FRIENDLY WARNING: This book has been written only for the purpose of Entertainment, Entertainment, Entertainment! If you are looking to learn something or improve your lives after reading this work, then this book is not for you. I am not trying to get into competition with the Author Biggies of this world. I wrote this simply for the fun and joy of it. One thing I can promise the reader though: Well proof-read, perfect language that I feel is very important for every book that’s written in any tongue. When it came to writing compositions, her kids found her of no help at all. All this changed suddenly one fine day in the year 2000. She had just quit her job at a school’s office and did not know what to do with her life. She was saturated with simply reading books. That’s when she got home one evening after her walk and took some sheets of paper and began writing. It was like watching a movie that was running in her head – all those years of visualising Indian heroes and heroine needed an outlet and had to be put into words. That’s how her first novel, The Malhotra Bride, took shape. Now it’s all about self-publishing her books on Amazon. She has published The Malhotra Bride (2nd Edition) and Meghna so far while planning to publish her fourth book – The Runaway Bridegroom – in September 2014. The story and setting is racy and hot. Though the climax was not surprising, the twists and turns throughout the story was more interesting. The love moments between the main characters was sweet, cute and so much romantic, that I found myself smiling, just like the Karan Johar movies. The dialogues, full of tongue-in-cheek comebacks were quite different from the romantic clichéd ones. The writing style of the author is somewhat old-fashioned and laced with heavy influence of the Bollywood movies, but that’s what I loved in the book! Overall though I liked the book, there were portions of it, like the confrontation in the planes and plane hijacking which did not fit in properly. The fact that the romantic development happens within few days also sounded unconvincing to me. But its a fictional novel, and the twists and turns are meant to be part of it. My rating of the book would be 3.5/5. 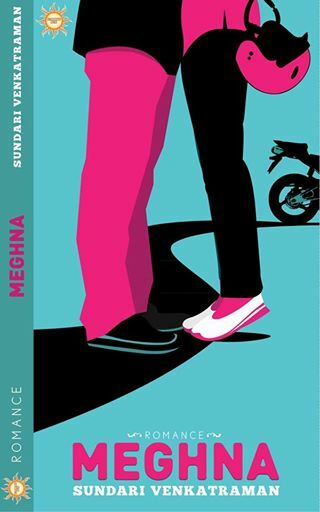 Pick it up for a short romantic read, especially if you like the Mills and Boon series or a fan of Bollywood films. Thank you Archana Ramakrishnan for that lovely review. I am glad you enjoyed reading it.